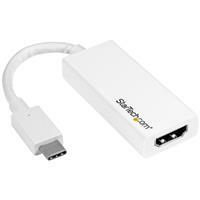 This video adapter is also available in black (CDP2HD). 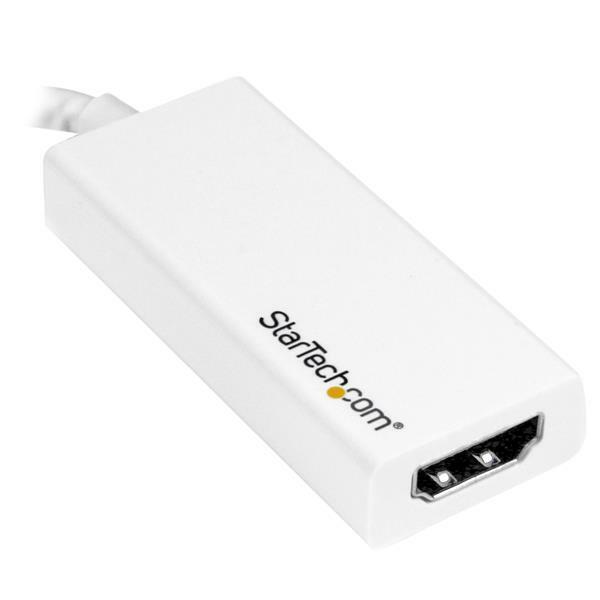 This HDMI converter lets you use the versatile USB Type-C port on your portable device. 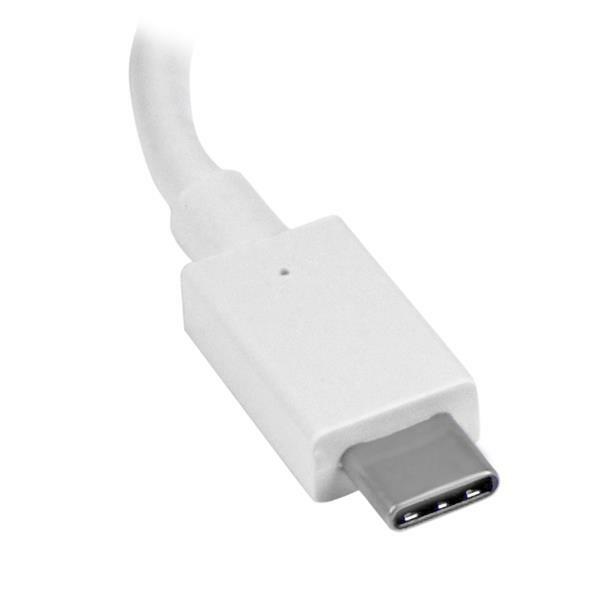 USB-C is a reversible connector, so you can plug it to your device in any direction. Plus, it’s Thunderbolt 3 compatible, providing a hassle-free connection to your Windows or Mac-based Thunderbolt 3 computer. CDP2HDW is backed by a 2-year StarTech.com warranty and free lifetime technical support. I have been working in the industry for over 20 years and this is another example of a very simple but great adapter from Startech. I plugged this unit into the thunderbolt 3 port of my Macbook Pro and it detected instantly. No issues with picture quality and the image displayed perfectly. The cable appears to be of a good quality however not sure how this will perform over time with constant bending, only time will tell. The connection appears solid and HDMI cable I used (also from Startech) remained securely in place. The screen attached via this adapter goes black every minute or so for a couple of seconds. Useless.